Seems like we've been visiting Hershey, Pennsylvania quite often in the past year, and why not, with the zoo, chocolate factory, and amusement park. And Tröegs Brewery is always on the agenda. 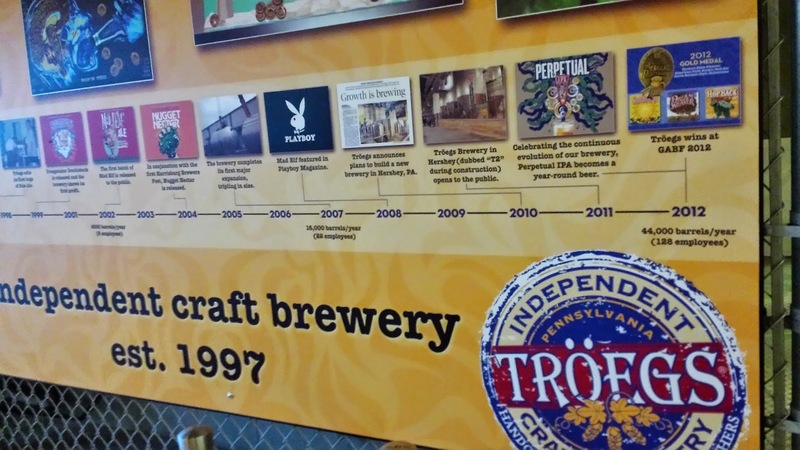 Hard to believe the brewery is almost 20 years old; first operating in Harrisburg and moving to the new location in the fall of 2011. 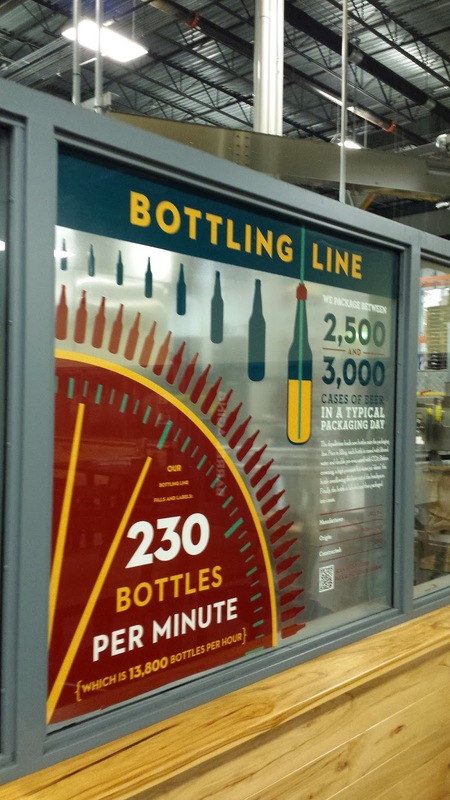 Not only does the Hershey plant host the brewing and bottling operations, but it also includes a large taproom-snack bar; gift shop, and a self-guided tour area. The latter works for families with kids since visitors must be 21 for the guided tours. My son had a blast watching the bottling of Mad Elf Ale, running back and forth following a particular bottle of beer as it was cleaned, filled, capped, labelled, and boxed. And he sat quietly watching the quality control mechanism reject bottles after capping. The taproom provides an opportunity to taste or consume any variety of available beers. But, it's the food menu that sets it apart - talking gourmet food. There's cheeses, venison, seared foie gras, beef marrow bones, crispy pork belly, "poutine" hand-cut fries in turkey neck gravy, charcuterie house-cured meats, duck confit, beef short rib pot roast. You get the picture. And the grilled cheese and tröegswurst were delicious. 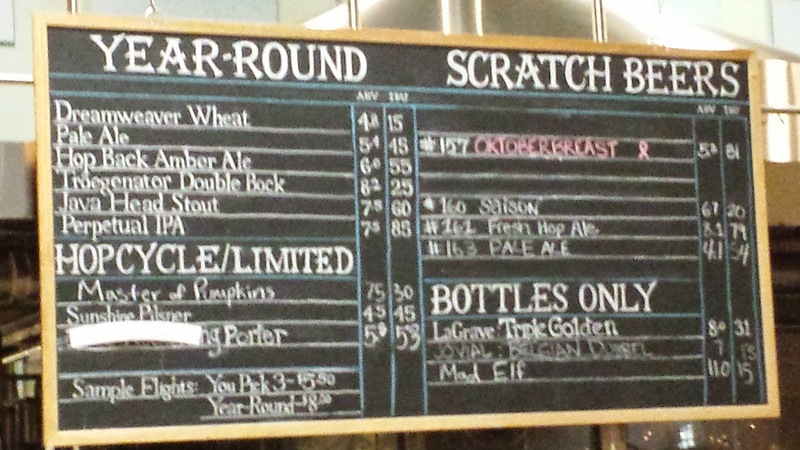 As for the beer, we took the low alcohol approach with their everyday Dreamweaver Wheat and Sunshine Pils. Both solid representations of their styles. And when ready to leave, the gift shop offers Tröegs beer for the road as well as company swag. Stock up - particularly with my favorite: Troegenator Double Bock. Cheers.